Shibusashirazu formed in 1989 with Daisuke Fuwa at their center. 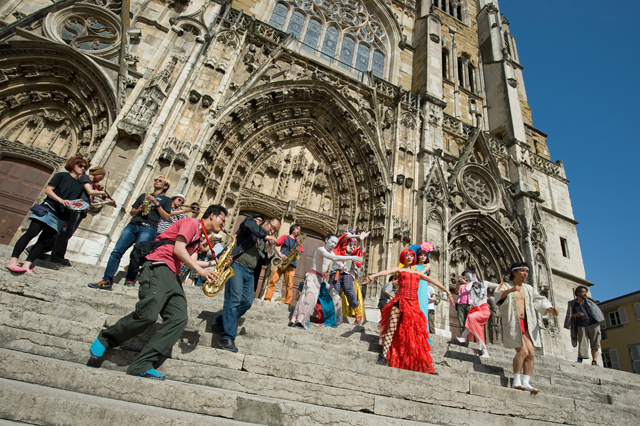 At times playing with an orchestra of over 40 people, they combined elements of jazz, funk, and old Japanese pop to create an original sound that was popular with young people and old people alike. After going on a successful European tour, Shibusashirazu performed at England’s biggest rock festival, “Glastonbury Festival”, on the main stage on opening day. Combining elements of jazz, rock, folk, and old Japanese pop, Shibusashirazu is a festive tour de force that is conquering festivals worldwide with their unique performances.